The foundations of the building transfer the weight of the building to the ground. While 'foundation' is a general word, normally, every building has a number of individual foundations, commonly called footings. Usually each column of the building will have its own footing. Since the weight of the building rests on the soil (or rock), engineers have to study the properties of the soil very carefully to ensure that it can carry the loads imposed by the building. It is common for engineers to determine the safe bearing capacity of the soil after such study. As the name suggests, this is the amount of weight per unit area the soil can bear. 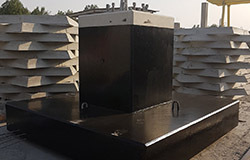 For example, the safe bearing capacity (SBC) at a location could be 20 T/m2, or tones per square meter. 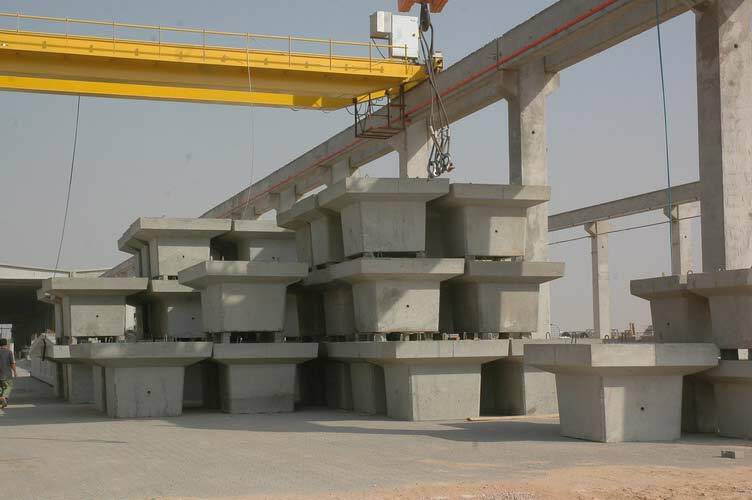 Our precast foundations are designed to shorten the construction phase and bring the construction into operation at an earlier date.